There are several things you do everyday. 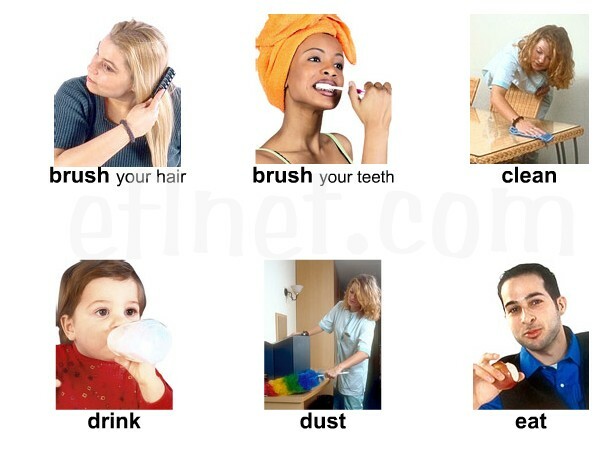 Now practice which words to use for these actions. You can hear the sound when you click on the picture.